I was sent some SinfulColors nail polishes to try out! I was pretty impressed with these polishes. They are really affordable and yet seem to apply nicely on the nails. It took two coats like any other polish I use to have an even look all over the nail! The colors are pretty true to what they look like in the bottle. I have purchased polishes in the past that didn’t really seem to apply and look the same as what they do in the bottle! I really loved this Rain Rubber blue, it looked so pretty and perfect for Spring and Summer. I don’t normally wear a lot of blues so it was a lot of fun trying out a new color! I love how it is a light blue with such a pretty shine to it! The Full Throttle line has a but of a rubber looking texture which is pretty neat. I have never had a nail polish that has a texture like this, so it was fun to try it out! This polish lasted really well, I was able to go about a week without it chipping away. I did apply a clear top coat that I had previously a different brand. I know that adding a top coat can help lock in the color and keep it looking shiny and help it last!! 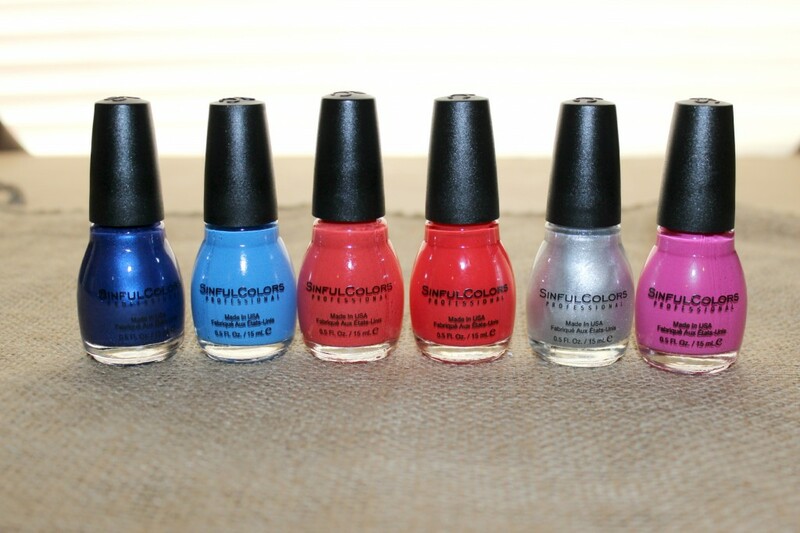 If you are interested in any of the SinfulColors line, you can find them at most mass retailers or shop online! They have tons of gorgeous colors to choose from! They run around $1.99 per bottle! 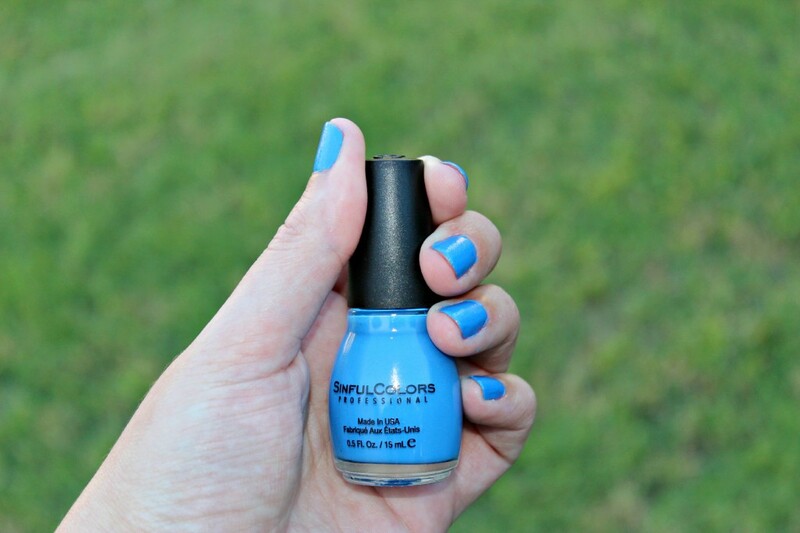 Have you tried any SinfulColors polish before?